Unwanted guests are never fun, especially when you can’t ask them to leave. Luckily, Rochester pest control companies have no problem kicking them out. Whether there’s a rodent in your basement or insects in the attic, call your local Rochester exterminator to take care of them — do not try to wrangle them out yourself! Not sure which type of home pest control service in Rochester, MI can tackle your issue? Read profiles and ask about their past experiences to get a good idea. 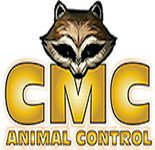 CMC Animal Control specializes in safe and humane nuisance wildlife removal as well as repairs that may be necessary to keeping wildlife out of your home at affordable pricing. Your residence should be a place of comfort and safety, but it is hard to relax when you have vermin, spiders, and other insects invading your home. Insects, bugs, and rodents can cause serious health risks and can also pose significant damage to the integrity of a standing structure. Vanish Pest Control offers effective plans to eliminate these unwelcome visitors by preventing them from entering your home. Whether you have ants, wasps, bees, cockroaches, spiders, or some other creature, our pest control services are effective immediately and continue to block any future nasty invaders. We have been servicing the White Lake Charter Township for years and understand how important your home is to you and your family. Locally owned and family operated, Vanish Pest Control LLC uses the latest technology in the industry, and with our vast knowledge and expertise, we can choose the most appropriate pest control treatment to fit the specific needs of each of our clients. We offer many pest control(residential & commercial) services, carpenter and services, rodent exclusion, mosquito fogging & control, bee control & removal, wasp control & removal, mice baiting, mole service, VA loan inspections/termite inspection, and much more. - Bat Removal - Bat Exclusions - Guano Remediation - Histoplasmosis Testing - With over 25 years in bat removal we are THE industry leader. 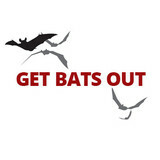 We have the experience you can have faith in to get your bat removal project done right the first time. Pests can happen even in the best of homes or businesses. That’s why it’s wise to contact a professional that knows how to identify your problem and recommend the correct solution. We’ve been certified through the Entomological Society of America. We hope you can find everything you need. 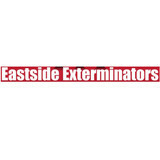 Eastside Exterminators is focused on providing high-quality service and customer satisfaction - we will do everything we can to meet your expectations. With a variety of offerings to choose from, we're sure you'll be happy working with us. Look around our website and if you have any comments or questions, please feel free to contact us. 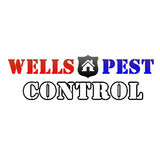 We are military veterans that have a passion for Pest Control and solving customers problems. A & D Animal Control is a family owned and operated business that is dedicated to customer service. With 24/7 support, no extra fees or charges, and an understanding of humane animal removal techniques, A & D is your number one choice for an animal control service. Ridder Pest Control LLC., uses only the latest most advance equipment by TEMP-AIR’s Thermal Remediation©. Hotel Rooms, Apartments, Dormitories hospitals and homes can be put back in service or use the same day. Ridder Pest Control LLC is an authorized TEMP-AIR service provider. Ed Blumling President and partner in Ridder Pest Control has over 30 years experience in the pest control service industry. He has owned Ridder Pest Control for 28 years and was a pioneer in introducing the thermal bed bug service in Michigan. Everyone knows that when fall and winter gives way to spring and summer, the world’s worst houseguests will be coming around – and we’re not speaking of the in-laws here! We’re talking about those bugs and pests that have the innate ability to annoy the tar out of you and destroy your home in the process – ants, bed bugs, earwigs, mice and especially bees. When it comes to insects and rodents in your home, for the sake of your loved ones and your own peace of mind, keep the process clean and simple with A1 Exterminating Services, LLC. We’re a mom and pop shop around Keego Harbor, Michigan, and we’re ready and willing to take care of any extermination or pest control needs you may have! Ant Doctor Pest Control is a family owned and operated business. We have been serving our customers since 1999. We use only EPA approved products. We are bonded and insured for your protection. We are licensed through the State of Michigan. In business since 1996, Faced with a pest invasion, you have two choices – try and fight it yourself or call in the professionals. At ACT Live Trapping , we're ready to assist whenever your local pest problem is too heavy to handle. Comprised of pest control specialists that stay up-to-date with all the latest industry advancements, ACT Live Trapping knows how to deal with everything from mice to mosquitoes and provides quality pest control built to last. Going it alone with pest control is a recipe for disaster – call in the only qualified team in Pontiac by dialing 248-475-4550 and speaking with a ACT Live Trapping expert. ACT Live Trapping offers Wildlife management services. We specialize in residential and commercial pest control. We treat all common household pests, mice, wasps, bees and hornets. We also offer to selected clients our ‘Preventative Maintenance Program’. This program is designed to protect your home and family by treating the exterior of your home on a semi-annual basis. This program reduces the necessity to treat the interior of your home by creating a protective barrier around the foundation of your home. Better for you, better for your family and better for the environment. Advanced Exterminator Company is a fully licensed and insured for your protection. Our professional staff is fully trained and certified by the Michigan Department of Agriculture. Education is key! We continuously educate our staff with the latest pest control technology. We use only the very best in application equipment and professional pest control products. Advanced Exterminator Company gets the results you expect. Known for our reputation of quality performance and great results. Remember we are here to help! Our office staff is responsive and provides personal customer service. We are happy to assist you with any questions or problems you may have. From scheduling, to technical issues. We will find the answer, or fix whatever problem may arise. Please take a moment to observe and honor all of our men, and women in the Armed Forces. For all of the sacrifice they have made to keep the rest of us free and safe. For those still away doing what you do. We wish all of you a speedy and safe return home. A Special Thank you you to all of you! God Bless our Troops! God Bless America! Combining years of experience with a dedication to client satisfaction, Advanced Pest Control has established itself as the local leader in Bed Bugs, Rodent Extermination and Pest Control. When it comes to Bed Bugs, Rodent Extermination and Pest Control, no one compares to Advanced Pest Control. With years of combined experience, Advanced Pest Control has worked hard to build the trust of our clients in West Bloomfield, Royal Oak, Birmingham, and beyond. Visit our website to learn more. Or better yet, click the link and call us today!